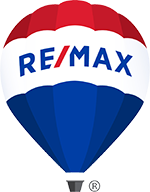 Here at RE/MAX Professionals, we are a locally owned full service real estate company with a national presence in one of the fastest growing cities in the Midwest. We can show you the home listings in the Sioux Falls, SD area that best suit your needs. We will provide the best services, guidance and advice. Our experienced agents will make the process of finding and purchasing your perfect home fun and stress free. If you are interested in selling your home, we offer superior home listing services in the Sioux Falls SD area. The housing market in Sioux Falls offers a variety of homes and neighborhoods from which to choose. Part of our services includes identifying homes that would best suit your needs, keeping your budget and goals in mind. Sioux Falls is the largest city in South Dakota, situated at the junction of Interstates 29 and 90. It is home to nearly 188,000 residents. Sioux Falls has a vibrant, positive business environment, which resulted in being named Forbes #1 Best Small City for Business and Careers in 2018. Sioux Falls has many choices when it comes to entertainment, dining and shopping. The popular downtown area boasts The Sculpture Walk, Washington Pavilion and the city&apos;s namesake, Falls Park. There are numerous sports and recreation opportunities in Sioux Falls and many state of the art athletic facilities. Sioux Falls is also home to more than 80 parks in various neighborhoods. The renowned bike trail follows the Big Sioux River which loops around Sioux Falls. 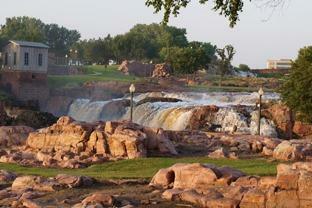 Sioux Falls, SD is also a major medical center that services the region. It includes two regional health care systems, the VA Health Care System and other independent practices and clinics. Strong education opportunities abound with public and private options from K-12 and higher education ranging from technical schools to universities. RE/MAX Professionals has home listings available in the Sioux Falls, SD area. If you&apos;re thinking about purchasing a home, you may browse listings here. Contact us for home listing services in Sioux Falls SD. Make Sioux Falls your home. Enjoy the friendly atmosphere and outstanding quality of life!